Using a class of a site element, you can add HTML code to a website that will work only for this particular widget or block. The feature of adding a custom class, as well as the HTML code installation, is only available to the Pro plan subscribers. 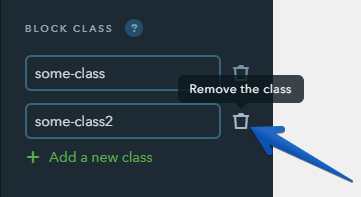 Open the Block class section on the left panel, click on the Add a new class button and enter a class name. You can create up to 3 custom classes for each element. The title can only include English letters, numbers, hyphens and underscores. You can specify a custom class for the Text, Button, Card, Icon and Reviews widgets. 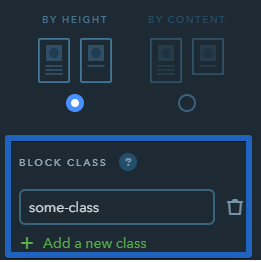 To add a class, click on the necessary widget and create a class on the widget settings panel that will open on the left, — just like you did for blocks. 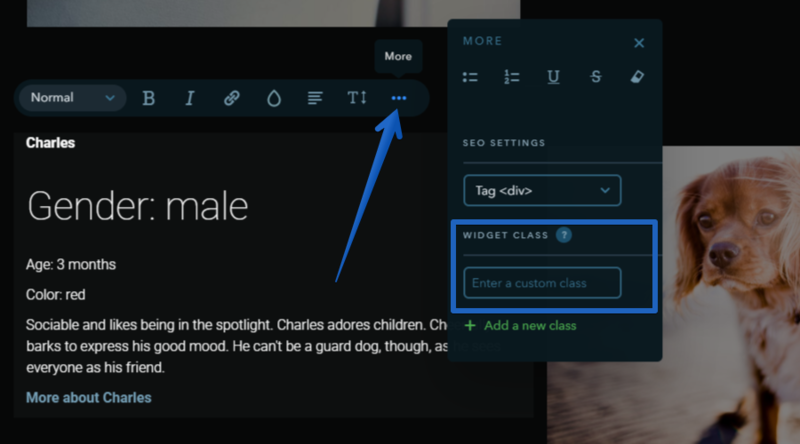 If a widget doesn’t have the left-side settings panel (for example, Text), the functionality for adding a class can be found under the More tab of the settings toolbar. 10 people found this article helpful.